The Los Angeles Zoo celebrates the first day of FLEET WEEK L.A. with FREE admission for all active and retired U.S. military personnel on Friday, September 2, 2016, from 10 am to 4 pm. Immediate family members receive a discount of $3 off adult and $2 off child admission. Free admission is available for one day only by presenting a valid military ID at the time of purchase on September 2 only. The L.A. Zoo also observes INTERNATIONAL VULTURE AWARENESS DAY on Saturday, September 3, 2016, from 10 am to 4 pmalong with more than 100 organizations that come together to celebrate vultures, which are are vital to the health of ecosystems around the world. The Zoo’s activities include biofacts and a special Bird Show spotlighting vultures from all over the world. The landmark Los Angeles Zoo and Botanical Gardens, drawing 1.75 million visitors each year, is home to a diverse collection of 1,100 animals representing 250 different species, many of which are rare or endangered. Its lush grounds on 113 acres feature the LAIR (Living Amphibians, Invertebrates, and Reptiles); Elephants of Asia; Campo Gorilla Reserve; Rainforest of the Americas, an extraordinary collection of endangered and exotic mammals, reptiles, fish and amphibians living in spaces that exemplify their natural habitat in the rainforest biosphere; Tom Mankiewicz Conservation Carousel; Chimpanzees of Mahale Mountains, home to one of the largest troops of chimpanzees in the United States; Red Ape Rain Forest, where visitors can walk among orangutans; the Winnick Family Children’s Zoo; one of the largest flocks of flamingos in any zoo in the world; a botanical collection comprising over 800 different plant species with approximately 7,000 individual plants; and much more. Accredited by the Association of Zoos and Aquariums (AZA), whose members meet rigorous professional standards for animal welfare, the Zoo has achieved renown as an international leader in the preservation of endangered species and a conservation center for the care and study of wildlife. The private, non-profit Greater Los Angeles Zoo Association (GLAZA), which has supported the Zoo in partnership with the City of Los Angeles for more than five decades and provides funding for and operates seven essential Zoo departments, has 60,000 member households representing more than 240,000 adults and children. As evidence of the Zoo’s popularity, GLAZA attracts one of the largest membership bases of any cultural organization in Los Angeles. Admission to the Los Angeles Zoo is $20 for general admission (ages 13 to 61); $17 for seniors (ages 62+), and $15 for children (ages 2 to 12).. No ticket is required for children under 2. Admission for Greater Los Angeles Zoo Association members is free. The Los Angeles Zoo is located at 5333 Zoo Drive in Los Angeles’ Griffith Park at the junction of the Ventura (134) and Golden State (5) freeways. Free parking is available. For general information about the Zoo, call (323) 644-4200. Conserve Energy SoCal, have created the following helpful tips to educate the community on energy conservation. Set your AC to 78 degrees when you’re not home. Turn lights off when you leave the room. Use a power strip; turn the power strips off when the equipment is not in use. Air dry dishes instead of using dishwasher’s drying cycle. Take short showers instead of baths and use low-flow shower heads. 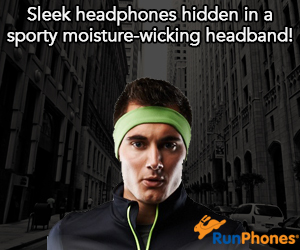 Only run full loads of clothes or dishes. Keep windows and doors closed when heating or cooling your home. 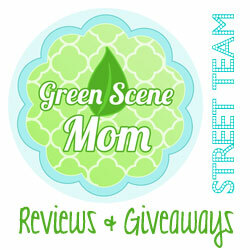 Clean or change air filters regularly. 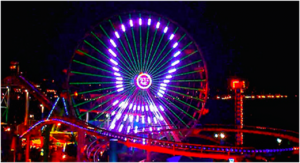 In addition to the educational programs The Pacific Wheel in Santa Monica Pier has a light show some Wednesdays to celebrate energy conservation, a perfect event for SoCal City Kids readers to plan a family day together. For further information on Conserve Energy SoCal, their events, and deals, please visit www.ConserveEnergySoCal.com, or visit us on Twitter and Facebook. The next light show is Wednesday, September 14th! Whole Foods Market is partnering with PBS KIDS’ top-rated show, “Wild Kratts,” to bring series-inspired products to stores across the U.S.
Beginning this month, Whole Foods Market will offer a variety of new products, including: Wild Kratts Organic Creature Crackers, Wild Kratts Creature Power Multi-Vitamin Gummies, Wild Kratts Foaming Body Wash, Wild Kratts Bubble Bath and Wild Kratts Insulated Lunch Totes. These back-to-school products will be easily recognizable to fans and will include images of “Wild Kratts” characters Aviva, Chris, Martin—and some of their animal friends. 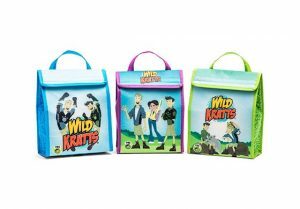 Items in the “Wild Kratts” line will range in price from $3.99 to $9.99. In “Wild Kratts,” Chris and Martin Kratt travel the world on creature adventures and teach viewers about the unique animals they encounter. They explain basic physics, biology and chemistry topics while developing observation and investigation skills. “Wild Kratts” is a favorite among 6- to 8-year-olds in 180 countries and is broadcast in 18 different languages. In 2016, the TV series was nominated for a Daytime Emmy Award for “Outstanding Writing in an Animated Program,” which was its fifth Emmy nomination since the show debuted in January 2011. “Wild Kratts,” produced by The Kratt Brothers Company and 9 Story Media Group, airs daily on PBS.